You’ll love this recipe for Portuguese bean soup! It’s healthy and simple to prepare. 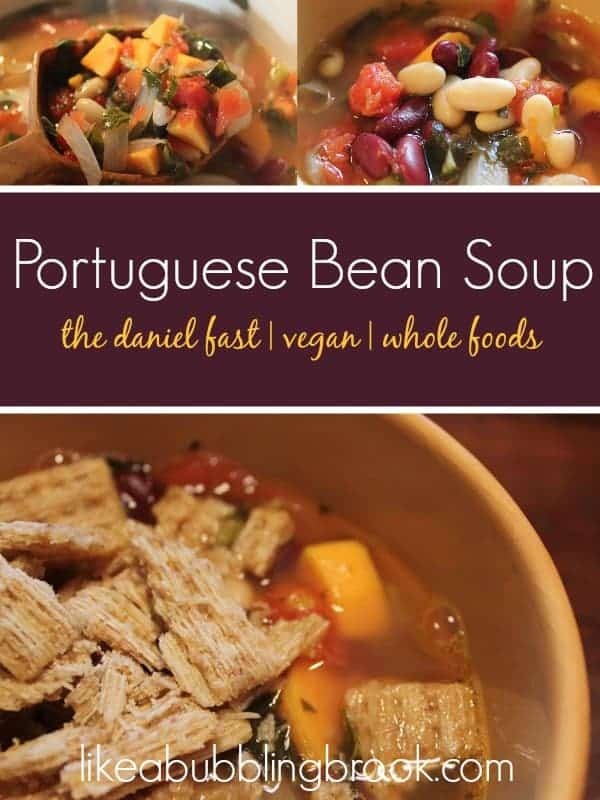 One of our Daniel Fast meals this week was this Portuguese bean soup; it’s a regular around here when we are cleansing, and it fits the requirements for the Daniel Fast as well. Normally, I would only use white beans such as cannellini or great northern, but I was low on white beans so I added in some red kidney beans to make up the difference. If you read the labels for boxed crackers at your supermarket or health food store, you should be able to find some that are made only of whole wheat, oil, and salt. They are yummy crumbled on top and add a nice texture to the soup. Follow along on Facebook, Instagram, and Pinterest. Looking for more ideas? This highly-rated Kindle book is on sale for ONLY $3.99 as I write this!!! I hopped to your site from Moneysaving Mom for your steel cut oats recipe, but this one looks delicious too. I'll be back for more! 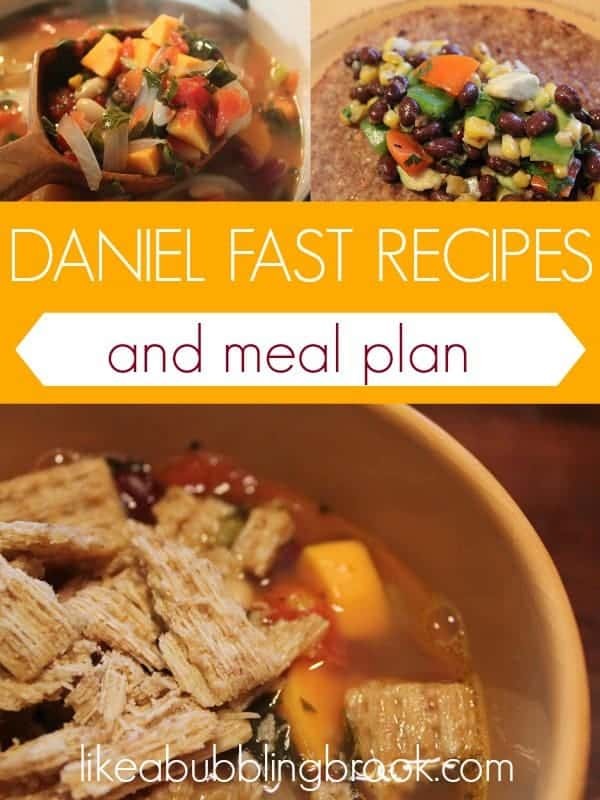 I hopped over from moneysavingmom.com for your steel cut oats recips, but this looks so yummy too! I'll be back for more! Jaime, it looks delicious. 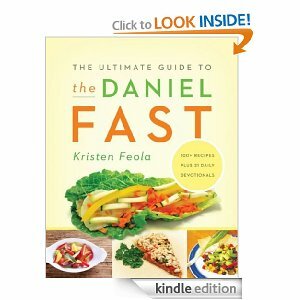 I'm excited about your fast. How are you fairing? I've never seen this version of Portuguese bean soup before. We usually put Portuguese sausage into ours. Your version of it though looks so colorful, flavorful, and healthy. Jasmine, we are doing well! Thanks for asking. Lisa, I bet that sausage would be wonderful in it if we weren't fasting or cleansing. I'll keep that in mind!